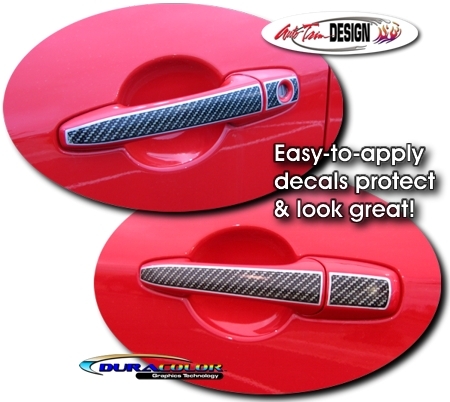 Enhance and protect your Mazda's Door Handles with these unique Simulated Carbon Fiber Door Handle Decals. The simulated carbon fiber features a light Silver Metallic outline that enhances the look. This four (4) piece kit specifically fits Mazda RX-8, Mazda6 and Mazda3 door handles. They are very easy to install and they look Great!